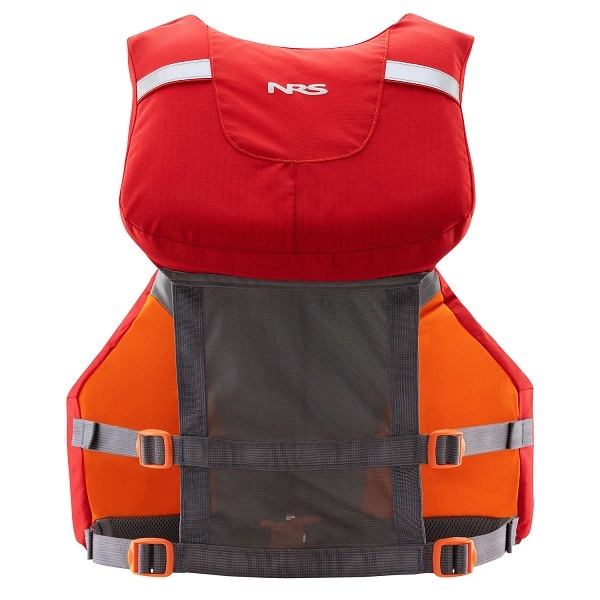 The NRS C-Vest has been made for touring comfort, convenience and safety. Photographers, nature watchers and anyone who likes lots of pockets love it too! 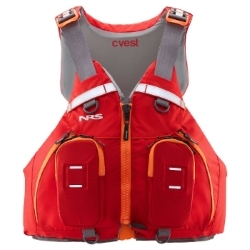 The NRS cVest Type III is perfect for use with touring and sea kayaks due to its high back that fits perfectly with the higher backrests found on many sit on top and touring kayak seats. 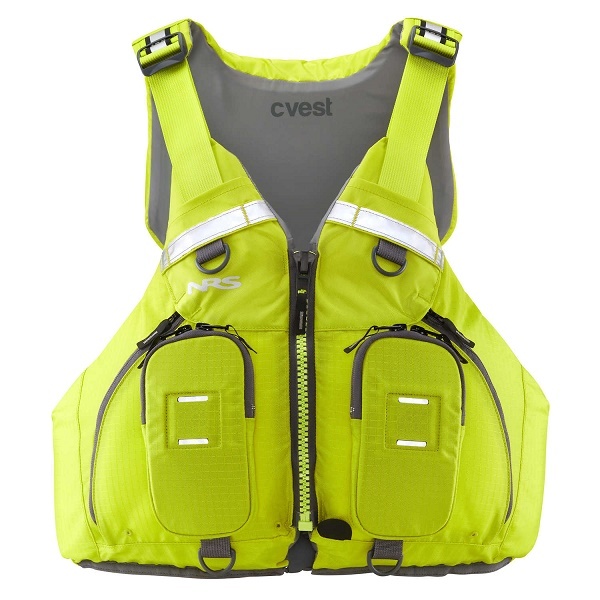 The cVest's buoyancy is concentrated up front and behind the shoulders, with a mesh lower back that lets you recline and relax and will not interfere with your seat. The eight adjustment points ensure a snug and secure fit while the large openings on the cVest allow for unobstructed movement when paddling. 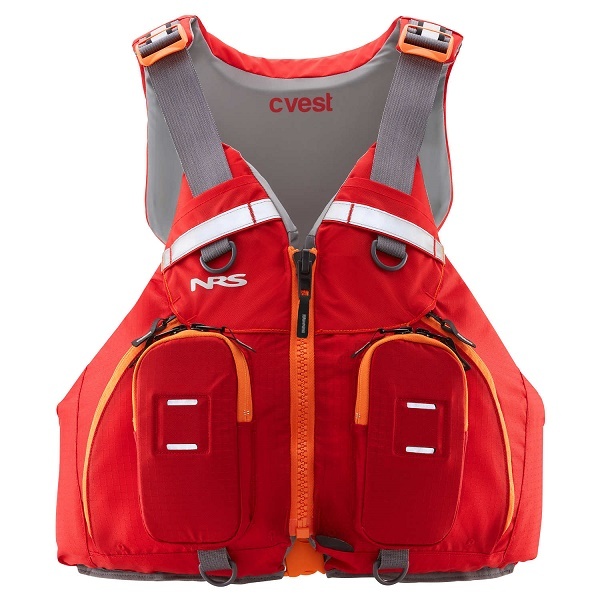 The NRS cVest is packed with features such as the six pockets, including one for a radio. An accessory lash tab and lanyard loops on the front, plus a beacon loop on the back, give you even more options for carrying all your equipment securely. Bournemouth Canoes recommend NRS cVest for Fishing, touring, Canoeing and Sit On Top Kayaking. Six pockets, including one for a radio, provide lots of handy storage. An accessory lash tab and lanyard loops on the front, plus a beacon loop on the back, give you even more options for outfitting this vest. Flotation is concentrated up front and behind the shoulders, with a mesh lower back that lets you recline, relax and stay cool. SOLAS reflective tape on front and back provides outstanding low-light visibility. Eight adjustment points ensure a snug, secure fit. Large arm openings allow for unobstructed movement while paddling or rowing. Certified in accordance with CE EN 393.